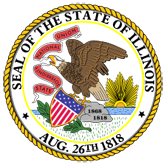 The annual report contains the statistics that are available on workers' compensation in Illinois, including a comparison of Illinois to neighboring states and large industrial states. The report also includes budget information, highlights of the year, the agency's mission statement, and lists of board members. 1. FY2004 Annual Report (20061005192045_annualreport04.pdf).